My students are always asking to play games. I constantly have to remind them that speech is not all about games...except when you can work on skills specific to speech goals. 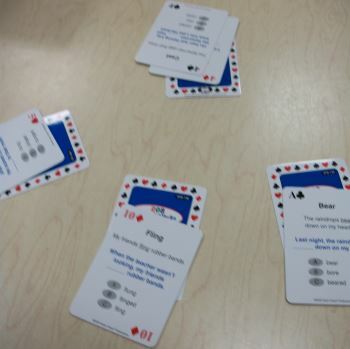 The Irregular Verbs Playing Cards make saying "yes" to their request for games easy. 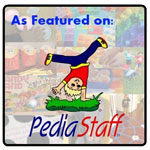 To learn more about how we used the playing cards in therapy, continue reading. 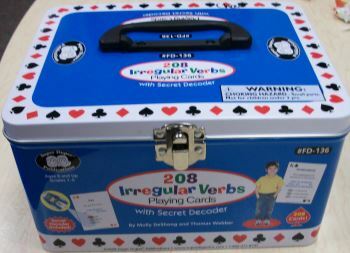 The 208 Irregular Verbs Playing Cards With Secret Decoder comes in a tin container with a handle. Inside, you will find the Instruction booklet, four card decks (52 cards each), and a secret decoder keychain. Prior to beginning game play, I would recommend checking whether or not the secret decoder works by removing the isolator strip from between the batteries. You can do this by pulling the battery compartment out, removing the strip, and pushing it back in. On top of the decoder, there is a button over the Super Duper logo which activates the decoder light. Pressing it gently will cause it to stay on until you stop holding it. If you wish for the light to remain on, you may move the on/off switch forward. It is a UV LED light, so make sure you/your students do not shine it into your own/each other's eyes. The batteries are replaceable if they run out of energy as they are two 3-volt coin cell batteries that you can find on their website or at a store. Next, choose a card deck to use to play the game. There is a difference between the number of syllables in each deck. Sets 1 & 2 use 1-syllable irregular past tense verbs. Set 3 uses both one and two syllable irregular past tense verbs. Set 4 uses is the most complex with 2+ syllable words. Each card deck has a different color on the back of it, so cards are easy to put back in the appropriate deck. The front of each card has a number, color, and suit in the corners, just like a real playing card. In the middle of each card is the text. The verb's root word is shown first followed by a present tense sentence using the word (the word is underlined). Next is a cloze, past tense, sentence and three word choices to fill in the blank with the appropriate irregular past tense verb. The three choices are labeled with bubbles A, B, and C. One of these bubbles (the correct answer) contains a yellow shading which will show as red when the UV decoder light is shone on it while the other two will remain unchanged. A student should state his or her answer prior to using the decoder for self-checking. 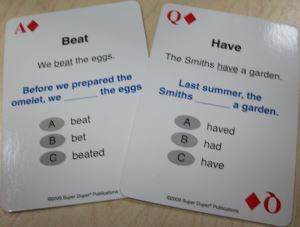 The correct answer for the sentence is the irregular past tense verb form of the verb at the top of the card. Finally, choose a card game to play. 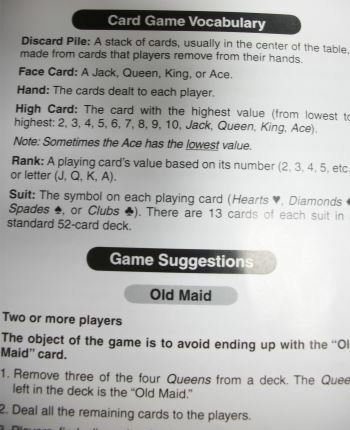 The Instruction Booklet has 11 different game ideas including War, Crazy Eights, and Hide-a-Card. There are endless possibilities for games. Just make sure that the students are practicing their sentences with the irregular past tense verbs on the cards and think about the time constraints of your session. The other thing I like about the Instruction Booklet is that it shows the list of words on the cards in the various decks. 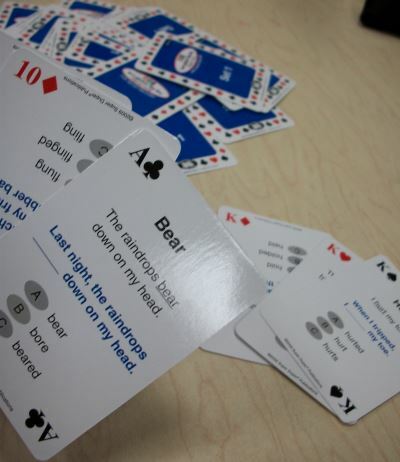 There are four different decks of cards with various syllable and skill levels. 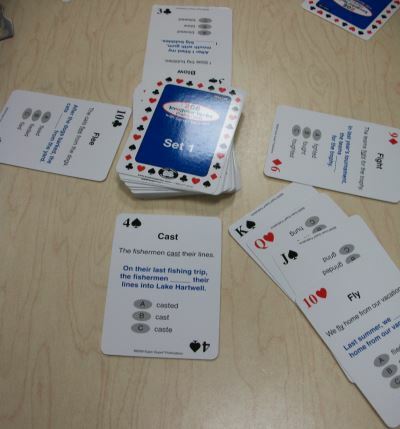 I love that that these decks of cards are actual playing cards because my students are motivated to use them. Also, I can use them for so many different games which makes this product worth the price. The decoder that comes with the cards is fun (my students often fight over who gets to hold it). I am a big fan of having more than one decoder on hand so that the students do not have to fight over them, so it would be nice if there were another included in the tin. The top and bottom pieces of the decoder with Super Duper's logo (not on only this decoder, but others that have come with other Super Duper products) have fallen off on me 100% of the time whether I have been the one handling them or one of my students has. I would definitely like to see them on as a sticker or held on with a different type of glue. Keep in mind that you can see the tint of the correct answer if you look closely without the decoder (and my students have noticed this as well), so either cover the bubbles or hold the card slightly further away and have the student answer prior to shining the light. My students often like to quick sneak a peek with the decoder, so sometimes I have to hold the decoder and hand it to them when it is time to check their answers. This is more of something that you as a clinician have to manage rather than something Super Duper needs to change. Articulation/Fluency/Voice - A student who is working on articulation/fluency/vocal skills can read the paragraphs and main idea options on the various cards aloud using their strategies. Expressive Language - Have the student create their own sentence using the irregular past tense verb on the card. 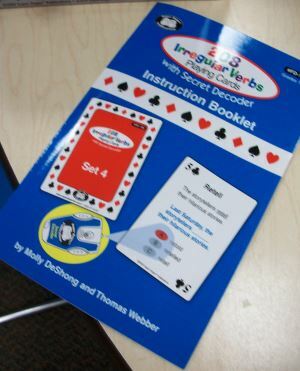 Irregular Past Tense Verbs - The cards in these decks focus in particular on irregular past tense verbs in cloze sentences. Present/Future Tense Verbs - Use the irregular past tense sentence as a cue for present and future tense verb cloze sentences to have your clients determine how to use those verb forms. 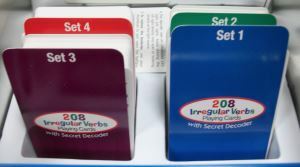 You can purchase the 208 Irregular Verbs Playing Cards from Super Duper Publications' website for $39.95. 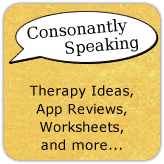 The author of Consonantly Speaking was given this product to review from Super Duper Publications. No other form of compensation was received.